Mike Campbell is back with the eighth installment of Retro Reading! OPENING BELL: Stu Saks starts off by announcing that this is the last issue of Wrestling 84. The fans have been very receptive to this magazine, but it’s not available at all newsstands just yet because after only five issues, it’s still considered to be a new and unestablished publication. The best way to ensure you don’t miss an issue is subscribe and have it shipped to your mailbox, which will also save you a few bucks. While this is technically the final issue of Wrestling 84, don’t worry, Wrestling 85 will be out in three months. Managing Editor Craig Peters came back from Florida to do an interview with Kevin Sullivan and was acting strange for a couple of days. After reading his interview, Stu also had some issues. Stu also issues congratulations to Jeff Ryan for his first major story, a feature on Rick Martel. The “Scoreboard” feature has become so popular that there will now be two pages devoted to it. Finally, Paul Ellering showed how smart he was by not waiting to see if the NWA banned the Road Warriors, even though the “You Decide” feature resulted in a two-to-one decision to not ban them. Ellering and the Road Warriors moved to the AWA, and they’ve already won the AWA World Tag Team Titles. The recent features on Kevin Von Erich have been very popular with readers. FEEDBACK: Crystal from McAdenville, NC enjoyed both of the recent articles on Kevin Von Erich from the Summer and Fall issues respectively. She’s relieved to hear that he’s not all work and no play. Christina from San Antonio, TX also enjoyed both articles, and they made it easy to see why Kevin is so popular and admired. Wendy from Chicago, IL is also a big Kevin Von Erich fan and really liked the pictures from the “Private Side” feature, she felt like she was in those woods with him. Ginny from Columbia, SC feels like the wrestling fans don’t show referees enough respect. Fans get upset when they step in and separate wrestlers, but, they could be saving both of their careers by doing so. If anyone feels like the referee isn’t doing his job well, the she thinks they should step into their shoes and try it. Linda from Mentor, OH thinks that the idea of banning the Road Warriors is ridiculous. They win matches by being stronger than their opponents, not by using foreign objects. There are plenty of other wrestlers who are similar to them in one way or another, including Ted DiBiase, Junkyard Dog, Kevin Sullivan, and the Spoiler, but, nobody is clamoring for any of them to be banned. If the NWA successfully bans them, then they’ll also succeed in losing a fan. Albert from Brooklyn, NY doesn’t care for Dan Shocket, but he gives credit for his article on Ric Flair. Flair gives more of himself than any other wrestler, and while he’s usually on the defense in his matches, it’s because he’s waiting for his opponent to make a mistake. He may be cocky and live life in the fast lane, but, he’s still the best wrestler in the sport today. Sandy from Pather, WV is happy to hear that Tommy Rich is back in the sport. Tommy is one of the best wrestlers in the world, and wrestling needs more men like him. Chrissy from Ruston, LA wants to see more articles about the Mid-South region, two of the last three issues have featured Kerry Von Erich, but not one article about a Mid-South star. Kerry Von Erich may have been NWA Champion, but fans still need to know what’s happening in the Mid-South. Bob Geigel was reelected as NWA President as the annual convention in August. NEWSLINE: The NWA held their annual convention in Las Vegas, and Bill Apter was present both as a reporter and as one of the speakers. Apter spoke about the cover story of the Fall issue of Wrestling 84, and the attempted ban of the Road Warriors. Apter said he’d never seen such a furor surrounding any issue as has surrounded this one. During the open meeting Apter confronted Bob Geigel about the potential ban, and Geigel had no comment and said the issue was dropped from any further discussion. Geigel pointed out that the question was no longer debated, since the Road Warriors had left the NWA of their own accord. There was a second meeting the next day, where Geigel was reelected as NWA President. Mr. Wrestling II has moved from the Mid-South area to the Southeast and has taken on a new protégé that he calls “Mr. Wrestling” and they’ve been wrestling Bob and Steve Armstrong. II says that he likes being a teacher, and that Magnum TA was a good student and a good kid. What he did for Magnum, at his own expense, he wouldn’t have done for anyone else. Dusty Rhodes has declared that he’s on his TCB (Taking Care of Business) tour, and that everyone better watch out for him. It may seem like he’s taking chances, but the people who’ve felt the sting of the TCB tour include Kevin Sullivan, Wahoo McDaniel, Superstar Graham, Ron Bass, and Black Bart. Dusty says that he’s doing this for himself and for the fans. IN THIS CORNER: Craig Peters has conducted three of the five interviews that have been published. While Joseph Bua’s article about writing covered reading and writing, if one wants to be a journalist, but he adds a third important skill: Interviewing. The interview process is important, and it requires a lot of work. One has to do research about the person they’re interviewing, their accomplishments, their background, how it effects what they’re doing today. He suggested reading as much as you can about the person has said in the past, and that comments in other articles will suggest questions to ask in your interview. He suggests preparing a list of questions to ask during the interview, and not to shy away from asking follow up questions because they can lead to some interesting replies. In three years, Peters has spoken to hundreds of wrestlers, and still comes back from interviews and realizes that he forgot to ask a certain questions, or that he missed a chance for a good follow up question. To have a reader finish an article or interview and say “That was interesting, I learned something new from that.” is the greatest satisfaction a writer can have. James J. Dillion is managing Ron Bass and Black Bart in the Mid-Atlantic area. MANAGER’S FORUM: James J. Dillon believes that old proverb “Man is harder than rock, and more fragile than an egg” was a wrestling manager. Wrestlers have tunnel vision to succeed, and that makes them susceptible to have very tender egos. Dillon had a very successful career as a wrestler, winning many regional titles, and defending them without breaking a sweat. But, because he couldn’t stay focused on only wrestling, he never won the NWA World Title. He’s always had trouble staying focused. While his high school classmates partied, he used his mind to become a better athlete, and nobody understood how he was outperforming everyone on the field. While in college, he took up economics and finance, and was the only person on campus with a new Porsche. While he was still wrestling, he started advising other wrestlers and soon began advising more than wrestling. He chose managing over wrestling and has never regretted it. Managing provides him with many challenges. This morning, he made sure that Ron Bass and Black Bart were at the gym for their scheduled workout. Then he took a phone call from promoter Jim Crockett to argue that Bass and Bart are future champions and do not deserve to be in preliminary matches against Bob Flurp and Ed Clurp. After writing this article, he’ll be meeting his team to go over strategy and watch tapes of future opponents. A wise man said that a jack-of-all-trade is a master of none, while a renaissance man is a master of all. That man was James J. Dillon. King Kong Bundy is wrestling in the Mid-Southern area, being managed by Jimmy Hart. CROSSFIRE: It’s been a tumultuous year for King Kong Bundy, he was a fan favorite in Georgia, but has recently moved to the Mid-Southern region and is back to being a rulebreaker with Jimmy Hart as his manager. Although it was a killer of a year, Bundy is happy with where he is now. He wasn’t happy being cheered in Georgia, he thought he was happy because that’s what people like Tommy Rich were telling him, but all he got was some meaningless wins and a few beatings. “It doesn’t matter whether I’m cheers or booed. I’m still the same King Kong Bundy.” He likens wrestling to being a bouncer back in Atlantic city, he was paid to throw out whoever the manager wanted thrown out. Now, he’s paid to win matches. Regarding what happened with Rick Rude and Jerry Lawler’s car, Bundy says he’s not the kind of person who would smash up a car with a bat, but he’s the kind of man who would give a friend a lift, and it looked like Hart and Rude needed a ride. Bundy is currently the Mid-Southern Champion, and sees himself winning the NWA Title next, and then becoming the sole champion in all of wrestling. It was especially nice to win the Mid-Southern Title from Tommy Rich. Bundy doesn’t especially care what other wrestlers think of him or if they trust him. Wrestlers are always out for number one, they’ll help him if it means it helps them. Do other wrestlers trust him? No. Does it bother him? No. He’s doing what’s best for him. Abdullah the Butcher’s low score in the Scouting Report isn’t an accurate depiction of his talents. SCOUTING REPORT: Abdullah the Butcher gets a C in speed, an A in strength, a C+ in technical knowledge, a D in physical condition, a B in ring intelligence, and a overall grade of C+. It’s noted that these categories don’t consider Abdullah’s talent as a human machine of destruction, which would cover categories like rule-breaking, violence, and wound infliction. But, the Scouting Report is based on the aforementioned categories. 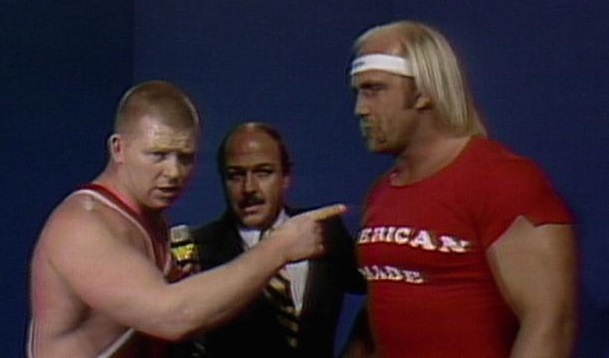 HEAD TO HEAD: Hulk Hogan vs. Bob Backlund. Bruno Sammartino says that Backlund had been working toward his goal of being a wrestling champion since he was a child, while Hogan was doing pushups on the beach and getting a tan. Hogan is stronger, but he doesn’t have Backlund’s desire. Ivan Koloff thinks that Hogan would roll right over Backlund, even though Hogan can’t beat the best wrestlers in the Soviet Union. Superstar Billy Graham acknowledges Backlund’s cardiovascular condition, but that won’t help when he’s being bodyslammed by someone like Hogan, and Backlund can’t even give Hogan a headlock without a stepladder. Stan Stasiak says that Backlund is the most precise wrestler he’s seen, and that he’s quicker than Hogan, which will offset Hogan’s strength, so he picks the good little man over the good big man. SCOREBOARD: The Fabulous Ones defeated Mr. Saito and Nick Bockwinkel in Las Vegas, NV. Dory Funk, Jr. beat Billy Jack at the Eddie Graham Sports complex in Orlando, FL by pinning Billy Jack and using the ropes for extra leverage. Harley Race beat Wahoo McDaniel at the Kiel Auditorium in St. Louis, MO. The Masked Superstar and Nikolai Volkoff went to a twenty-minute draw at the Omni in Atlanta, GA.
No, that isn’t Mike Davis alongside Kevin Sullivan. It’s “The American Dream” Dusty Rhodes. INTERVIEW 84: Craig Peters starts to ask Kevin Sullivan about Mike Davis, but Sullivan cuts him off and says that there is no Mike Davis, there is only “The American Dream” Dusty Rhodes. The man that the fans knew as Dusty Rhodes was really Virgil Runnels, a man of no skill and lesser physique, who embraced the false hopes of dreams. There was no Dusty Rhodes, only Virgil Runnels who tried to deceive the fans, but now the illusion is reality. On the subject of Satanism, Sullivan acknowledges that he is one, and that he and his followers are outcasts because of it. People says that they’re a cult and that’s true, because a cult is defined as “A sense of devotion to a give thing” but it’s meant to imply things like brainwashing and mind control. Sullivan sees them as practitioners of reality. Himself, Fallen Angel, Lock, “The American Dream” Dusty Rhodes, they form a network that nobody in Florida can subvert. The future for Kevin Sullivan is that he and his followers will control Florida wrestling, they’ll get rid of Blackjack Mulligan, Mike Graham, Scott McGhee, Billy Jack, and Virgil Runnels. In their place will exist the new reality of Kevin Sullivan. THE FABULOUS FREEBIRDS: IS MICHAEL HAYES READY TO FLY SOLO? “Badstreet USA” is a new rock single that was written by Michael Hayes and Jimmy Papa, and has a music video headed to MTV. Does Michael Hayes’ new found rock ‘n’ roll success have any impact on his career? Hayes says that it’s an emphatic “No” and that he and the Freebirds will continue to be a successful team in wrestling. Gordon Solie disagrees, and says that when having to balance two careers, you’ll only be able to devote half of your time and energy to one of them, so ultimately, one of them will suffer. The Freebirds have recently started wrestling in the WWF, which may not be a coincidence. Sure, The Freebirds say it’s because they’re tired of beating the Von Erichs and getting a raw deal from World Class officials, but, anyone who is anyone in the music industry knows that you have to make it big in New York. The other Freebirds deny that there is any issue in the team, they also played a part in the Badstreet video, and like all great groups, they need a front man, and, Hayes is perfect for that role. They think that Rock and Wrestling is a marriage that they can make work, we’ll have to wait until the next issue of this magazine comes out to see who was right. Rick Martel proudly displays the AWA World Title. Martel vows to be a champion for the people, rather than being a flashy champion like NWA Champion Ric Flair or WWF Champion Hulk Hogan. RICK MARTEL: BLUE COLLAR CHAMPION: Before he turned pro, Rick Martel worked construction. He’d work with his crew and they would go to a bar called “Sam’s” every day after work. One day Martel got chatting with Charlie Vincent, he asked Rick what he planned on doing after he graduated and Rick told him he wanted to be a wrestler. Charlie said he used to go to the matches, because it gave him hope that an anyman like him could be something special. But, he stopped going when he realized that he wouldn’t be anyone special. He asked Rick that if he ever made it big, to remember the people like Charlie Vincent. Rick has kept that vow since his first match. When he first started out, matches were hard to get and didn’t pay well. A manager wanted him to wrestle in a tuxedo and call himself “The Aristocrat” but Rick turned him down. The night he won the AWA Title, he was asked about his contemporaries Hulk Hogan and Ric Flair, he recalled Flair always talking about his wealth and possessions, and Hogan always showing of his strength. He declared that, in his eyes “HE” wasn’t the AWA Champion “WE” (meaning him and his fans) were the AWA Champion. He received a letter from Charlie Vincent recently telling him how proud he was, and to let him know if he would be wrestling nearby. Rick Martel starts off at 7:15 AM with some light warmups and then has his ususal breakfast of steak, eggs, toast, milk, and juice. At 8:30 he begins serious training at the gym, with a three-hour program that stretches just about every muscle in the body. He has a light lunch at 12:00 Noon. He starts another three-hour workout at 12:30 PM, concentrating on his cardiovascular workout. He has an evening meal at 3:45 PM, which is either chicken, steak, or fish, along with vegetables, salad, and milk. He gets to the arena for his match at 6:45 and loosens up. His days ends at 1:00 AM when he goes back to bed, and gets ready to start the next day. JAKE ROBERTS: “I’LL TEACH THE VON ERICHS THE MEANING OF WORLD CLASS!” Jake Roberts has recently started wrestling in the World Class area, and his attitude and demeanor haven’t endeared him to the fans. He was doing very well in Georgia, but, was getting bored with beating Ronnie Garvin every night. Roberts wants success and wants it as fast as possible. As the song goes, when you work your fingers to the bone, all you have to show for it is bony fingers. He doesn’t think the Von Erichs are real competition to him. Kerry lost the NWA Title as quickly as he won it. Kevin is nothing but hype, Mike winning the American Title from Gino Hernandez was a fluke, and their friend Chris Adams is a joke. “World Class” is described as being able to stand alongside the best in the world, and that’s what Jake Roberts is. Ric Flair and Wahoo McDaniel share a handshake during happier days. Wahoo refused to save Flair from an attack by Tully Blanchard because Flair never gave him a title shot. FLAIR, BLANCHARD, WAHOO, AND STEAMBOAT: FOUR-WAY STREET: A recent feud has started in the Mid-Atlantic area involving four distinct personalities. A flashy and talkative NWA World Champion, an un-troublesome former United States Champion, a very troublesome Texan who will do whatever he needs to in order go ahead, and an angry Indian who has sparked a huge controversy. Wrestling 84 managed to get all four of them to give their take on how things have transpired. Ric Flair: Ric Flair may be from MN, but the world is his oyster and he considering the Mid-Atlantic area to be his home. He’s on TV one day, and here comes Tully Blanchard to start talking him down. It’s one thing to do this in the ring, but Blanchard did this while Flair was talking to his people. Flair turned his back and Blanchard attacked him from behind. When Tully left, who was standing there? Flair’s good friend Wahoo McDaniel, who didn’t lift a finger to help, because he didn’t feel like he needed to because Flair hadn’t given him any title shots. Flair doesn’t decide his challengers, but Wahoo is getting his wish because Flair is so angry that he’s demanding a match with Wahoo. Tully Blanchard: Tully Blanchard knew that Wahoo McDaniel was an important man when the world threw a collective tantrum because Wahoo figured out what was happening in wrestling. Everyone had their expectations for who Wahoo is and how he ought to act. “No, don’t do that, it’s not nice!” “We like this wrestler, don’t beat him too badly.” And that especially extended to all the young wrestlers that Wahoo helped along the way, who then won championships and denied him title shots. Flair knows that Wahoo would beat him, but Steamboat wasn’t so smart. He lost the United States Title to him, and the promoters held it up to help him save face. Blanchard knows that Wahoo will beat Steamboat to regain that title, then beat Flair for the NWA Title. He’s also the kind of man who will then turn to his good friend and offer him a shot at that same title. Wahoo McDaniel: Everyone is up at arms over what he’s done to his friends. Well, his career is just that *HIS* career. Wahoo used to worry about pleasing everyone because otherwise they might not come see him wrestle and then he’s out of a job. But, now they come to see him lose, and it takes a huge weight off his shoulders. Flair is crying that he didn’t help him when he got attacked by Blanchard. He didn’t help because it wasn’t his fight. Flair got into that one on his own. Flair is afraid to give him a title shot, but at least Steamboat had some honor. Of course, after beating Steamboat the title was held up. Tully Blanchard may have had something to do with that, but, Wahoo saw a man laying in the ring, instinct told him to cover him for the pin. So, now he’s being punished. He likes Tully Blanchard, the man may not be a saint, but he’s at least honest about it. He’s a good friend to have, Wahoo has enough stab wounds in his back from former friends. Rick Steamboat: In October of 1981 Rick Steamboat defeated Ivan Koloff, and it was because of the help he got from Wahoo McDaniel. Steamboat was ready for that match, but Wahoo explained how Koloff’s years of experience would assist him in various illegal tactics, and thanks to that preparation, Steamboat won. If Wahoo wanted a title shot so badly, why not ask the promoters or ask the NWA? Tully Blanchard wants a shortcut to success and notoriety and he’s hitched his wagon to Wahoo. When Steamboat faced Wahoo for the U.S. Title, all he could remember was that day in 1981. Wahoo can say the interference of Blanchard wasn’t planned, but, when someone hits him over the head with a chair and the other person takes advantage of that, the intention speaks for itself. The title is held up now, but Steamboat intends to get it back. THE PRIVATE SIDE: The Road Warriors visited New York City for the first time on May 29, 1984 when the NWA held a card at the Brendan Byrne Arena in New Jersey. They walked all over New York, mostly in Times Square. They were hungry, but didn’t want anything fancy nor did they want fast food. They finally started eating out of a dumpster. Hardly anyone stopped to watch them, because nothing phases New Yorkers. Jim Cornette’s interference is one reason why the Midnight Express are the Mid-South Tag Team Champions. YOU DECIDE: Should Managers Be Allowed At Ringside? The pros include the fact that barring them would be like barring a baseball manager from the dugout. A manager should be able to provide on-the-spot strategies. There’s also an issue of safety, such as when Arnold Skalland threw in the towel for Bob Backlund. They also provide control. Without managers around, wrestlers like Kamala, Missing Link, and George Steele would wreck havoc in the arena. The cons include interference, which can have major implications on title matches. A manager distracting a referee allows a tag team to illegally double team a helpless wrestler. There’s also the question of incitement, when arguments break out between wrestlers and managers, which have no place in wrestling. The votes are in and the readers have voted to not ban the Road Warriors. The Road Warriors may be at the center of controversy at the moment, but banning them could have far-reaching effects. There’s also the question of who decides if a wrestler is banned, and what the criteria would be for doing so. Nikita Koloff is still a rookie, but he already has lofty title aspriations. BEST BET: Nikita Koloff is twenty-three years old from Moscow, Russia and has less than one year of experience. His biggest match so far as been teaming with his Uncle Ivan against the Renegade and Mark Youngblood. His immediate goal is to win the Mid-Atlantic Title from Angelo Mosca Jr. while his long-term goal is the NWA Title. GOLDEN MOMENT: In July of 1973 Rocky Johnson wrestled John Tolos in the Olympic Auditorium with special referee Earl Maynard. 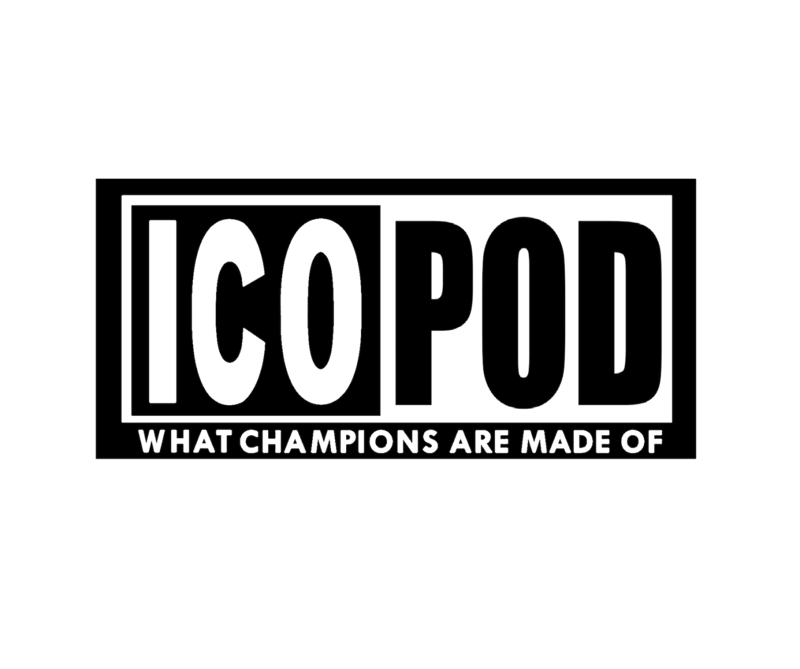 Johnson accientally collided with Maynard, which allowed Tolos to use a foreign object and pin Johnson, and then he also attacked the referee. 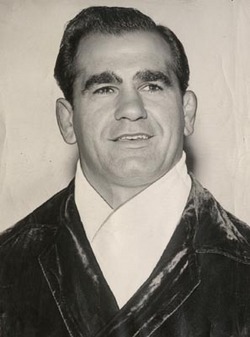 Lou Thesz is actually the youngest man to win the NWA Title, not Tommy Rich or Kerry Von Erich. INFO CENTER: Stephen from Columbia, MD wants to know who Fabulous Moolah originally defeated for the World Women’s Title. Moolah won a tournament by beating Judy Grable in the finals in September of 1956. Sondra from Broken Bow, OK wants to know who Tommy Rich won the NWA Title from and how long he held it. Buddy from Golden City, MO wants to know who the youngest NWA Champion was, Kerry Von Erich or Tommy Rich. Rich beat Harley Race on April 27, 1981 and held it for four days. Neither were the youngest champion, that would be Lou Thesz. Lore from Stonewall, OK wants to know if there is a Von Erich’s fan club. Yes there is. Marshall from Dallas, PA wants to know what happened to the Global Tag Team Titles in Florida. 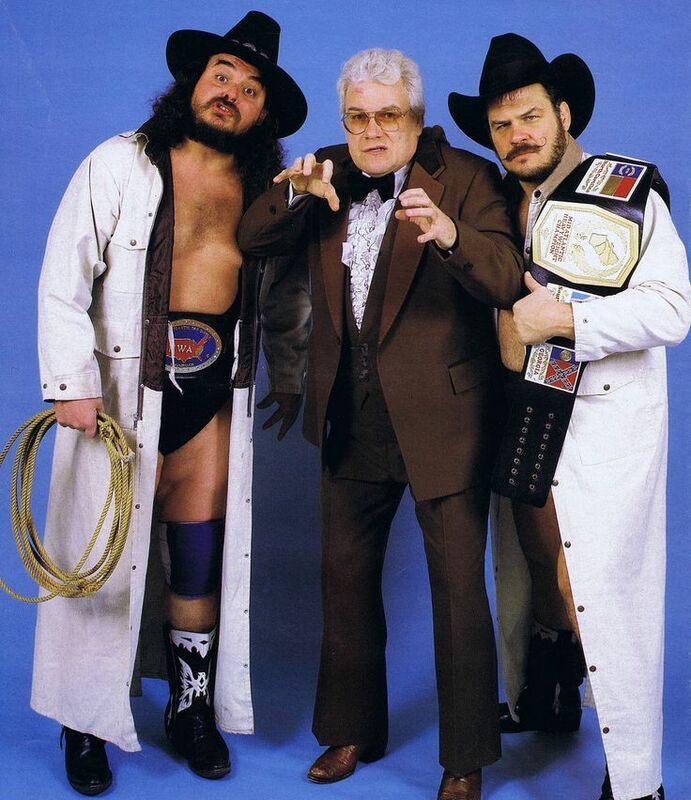 They were retired in 1983 when the Zambuie Express won a tournament for the United States Tag Team Titles. Joey from Coney Island, NY wants to know how many times the NWA Title changed hands in Japan. It’s happened seven times currently. RATINGS AND ANALYSIS: There may be some confusion as to why Dusty Rhodes is ranked #5 in both the NWA Ratings, as well as ranked #5 in the more select top ten. The reason is because Rhodes’ top ten ranking is based on his skill, performance, and quality of opponents. The NWA ranking is because, although he doesn’t hold any regional titles, he has been putting some exemplary performances recently and the staff has taken notice and have ranked him higher than five regional champions. The Road Warriors have recently started wrestling for the AWA and have already won the AWA World Tag Team Titles. THIS JUST IN: The Road Warriors are the new AWA World Tag Team Champions, having beaten Crusher and Baron Von Raschke at the Showboat Sports Pavilion in Las Vegas on August 25th. Their first challengers were expected to be the Fabulous Ones, but Steve Keirn suffered a neck injury during an attack by Nick Bockwinkel and Mr. Saito. Kevin Von Erich has asked to be removed as #1 Contender to the World Class American Title, currently held by his brother Mike. Kevin says that if was anyone else, he wouldn’t do it. But, there’s no reason for brothers to wrestle. 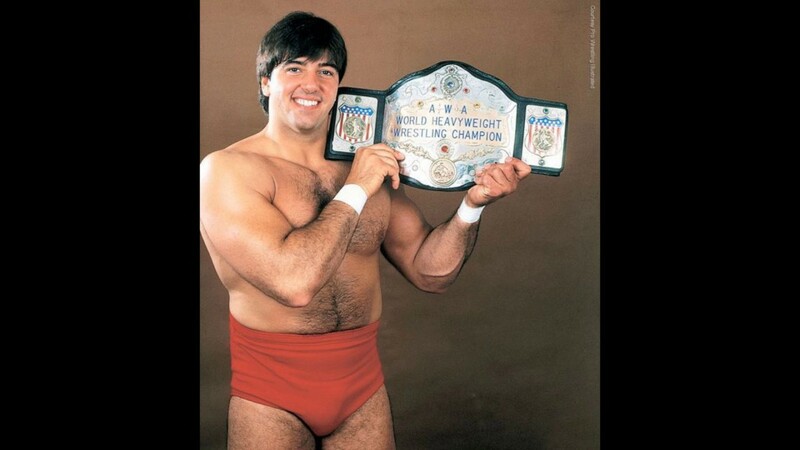 This makes Gino Hernandez the new #1 Contender. Other top contenders are Jake Roberts and the Missing Link. Although both Barry Windham and Mike Rotundo are wrestling in the Mid-Atlantic area, they won’t be teaming up. They both want Ric Flair’s NWA Title, and have both said they’d be willing to wrestle each other in an elimination match, or, if one of them wins the title from Flair, they’ll give the other a title shot. Jim Cornette has accused the officials of Mid-South Wrestling of trying to blacklist him, because of his recent comments about Bill Watts. Watts wants to have him silenced, but nobody shuts up a Cornette!